SCOUTS MUST BRING THEIR WEBELO BOOK TO EACH DEN MEETING. 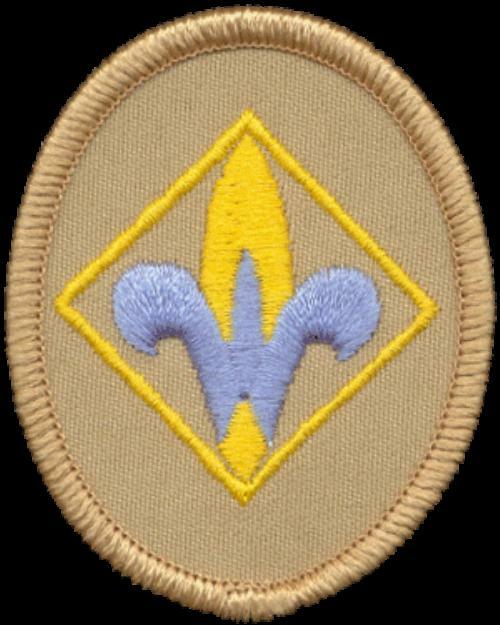 WEBELOS is an acronym that stands for "WE'll BE LOyal Scouts!". 3. Plan a menu for a balanced meal for your den or family.Determine the budget for the meal. Shop for the items on your menu while staying within your budget. 5. Demonstrate an understanding of food safety practiceswhile preparing the meal. 4. With your den, prepare a fitness course or series of games that includes jumping, avoiding obstacles, weight lifting, and running.Time yourself going through the course, and improve your time over a two-week period. 3. Describe and identify from photos any poisonous plants and dangerous animals you might encounter on your hike.